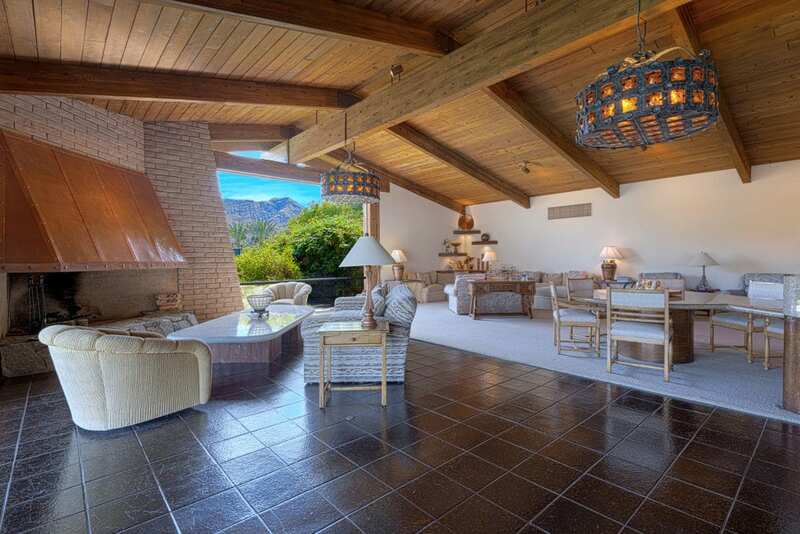 The stunning architecture of this 1967 custom estate located in South Palm Springs is revealed once you enter the gates off of Bogert Trail in South Palm Springs. Circular drive and dramatic Porte-cochere entry exposes the preeminent materials that were used for construction. Very generously sized rooms make up much of the roughly 8389 square feet home that features five guest suites in the main house and separate guest house complete with kitchen and living room. The entire house features voluminous ceiling heights with floor to ceiling windows, dramatic fireplaces and open living concepts certainly ahead of the trends in the late 1960’s. Large family style kitchen can accommodate large parties or just an intimate dinner for two. 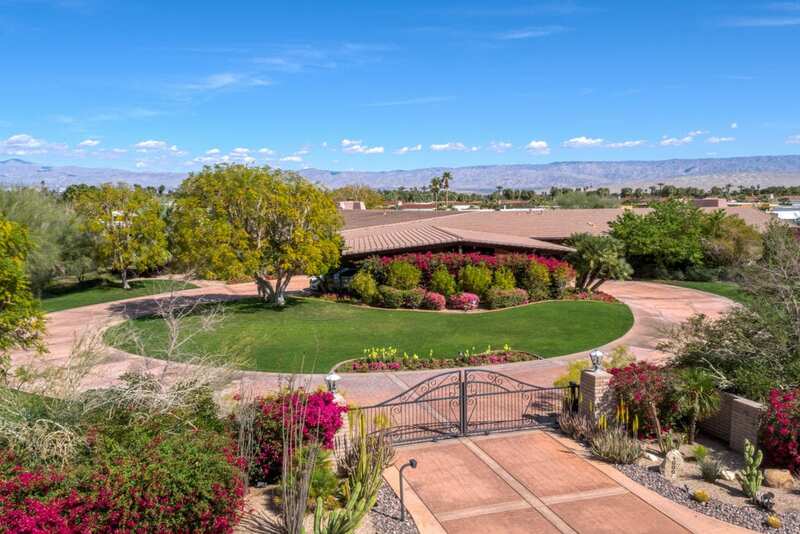 Just over two acres with lagoon style pool with waterfall features and north/south facing tennis court this property has been in the same family since it was built and is the epitome of architectural California Ranch.